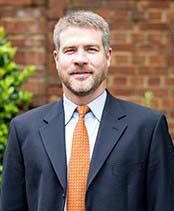 Through years of work and specialized training, Attorney Greg Willis has established himself as a top DUI defense attorney in the State of Georgia. His legal career is dedicated to the representation of individuals who have been charged with driving under the influence. 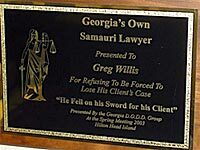 Due to his success and masterful defense techniques, Attorney Willis has garnered many positive testimonials from clients and attorneys alike. Attorney Willis has a 93% success rate of defending DUI charges over the past 5 years. His experience has prompted other DUI lawyers to pay money to hear about the firm’s strategies at seminars. His experience has, practically speaking, allowed him to successfully challenge the accuracy of breath tests, blood tests and field sobriety tests for his clients facing difficult DUI charges. Mr. Willis graduated with a B.S. in Commerce from the University of Virginia in 1992. Thereafter, he attended University of Georgia School of Law and graduated with his J.D. in 1996. Attorney Willis remains front footed in DUI training and continuing education. In order to remain on the leading edge of DUI defense, Attorney Willis has mastered the Drug Recognition Expert Overview Course and is even certified to operate the Intoxilyzer 5000, a breathalyzer commonly used by law enforcement. In addition, he has taken a number of courses in order to understand how the machine operates. This knowledge enables him to challenge this test’s results. 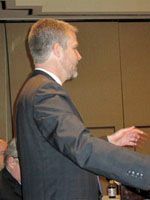 In 2011, through his membership with the National College of DUI Defense, Attorney Willis was able to complete the most technical seminar in the country – the Mastering Scientific Evidence Seminar. Learn What Sets Greg Willis Apart - Click Here! Field sobriety tests also play a large part in DUI cases. Mr. Willis has trained as both a student and an instructor on the National Highway Traffic Safety Administration (NHTSA) standardized field sobriety evaluations. Because of his expertise on the topic, Mr. Willis has been invited to speak at many CLE conferences to train other attorneys how to successfully defend DUI cases. He has also spoken on the topic of analyzing drunk-driving cases for trial as well as handling administrative license suspensions. Greg Willis has been awarded the D.O.D.D. 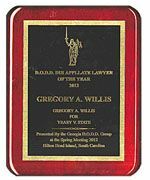 DUI Appellate Lawyer of the Year for 2012. Attorney Willis demonstrates ultimate dedication to each client. In one case, a key witness was not able to appear in court. In order to give his client an optimal chance at the best possible outcome, he worked to postpone the trial until the witness would be available. The judge refused to wait and Attorney Willis spent four days behind bars for contempt of court. However, once he was released, Attorney Willis was able to return to court – with the witness – and win his client’s case. Contact Attorney Willis for more information regarding your case. Our firm offers free consultations and we are ready to put years of experience, training and skill to work for you!